Buford Marion Appleby was born near Gainsville, Texas, 21 December 1911. He was the oldest son of Claude Elberta Appleby and Sarah Alice Hancock. His grandparents were Robert Appleby and Martha McGehee. He died June1983; LaPorte, Harris County, Texas. 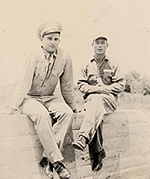 Buford Appleby entered military service with the United States Army Air Corps in 1942 and served in the European Theater of Operations, October 1945. Tech Sgt. 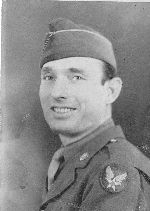 Appleby served with the U. S. Army, 9th Air Force; Troop Carrier Command, 52nd Troop Carrier Wing, 315 Troop Carrier Group; 34 Troop Carrier Squadron from 1942-1945. At the time Appleby was stationed on Spanhou airfield with the 34th TCS. On September 17 he was involved in drops of the 504th Battalion of the U.S. 82nd. Airborne Division. On September 18 he was involved in dropping elements of the British 10th Para-Battalion. On 21 September he dropped paratroopers. On September 23 he dropped some Polish paratroopers. Then on September 26, 1944 and September 27, 1944 he made flights into Holland in which they landed in Holland with cargo. This information and the pictures are provided by his son, David Appleby. Buford Appleby in his first aircraft. 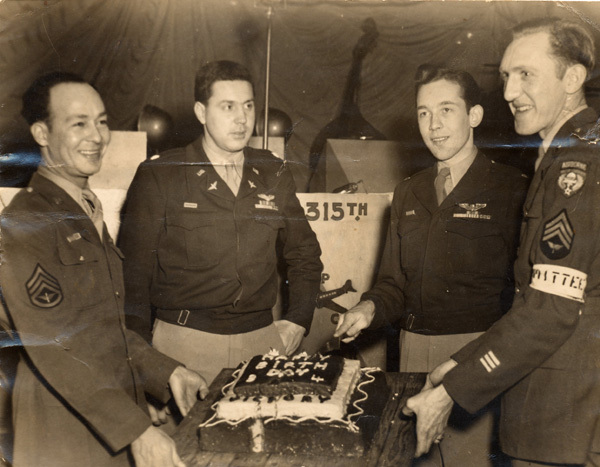 The second birthday of the squadron is celebrated in the ETO. The photo also appears in Brinson's book, Airborne Troop Carrier: Three-One_Five Group.